Be Right Back is a mixed media by Barbara McGeachen which was uploaded on January 20th, 2013. 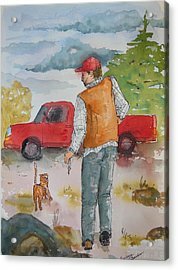 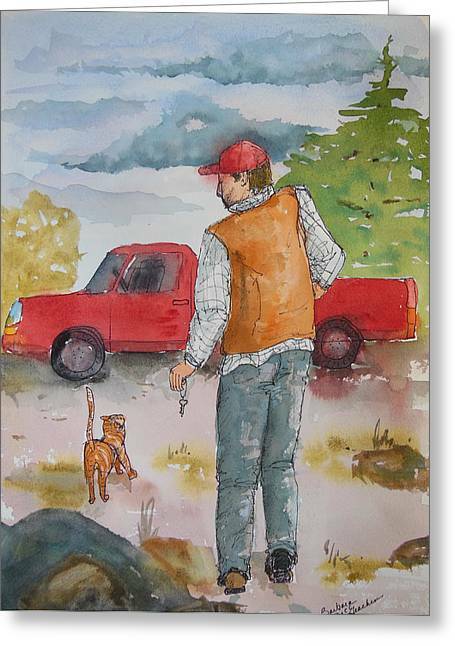 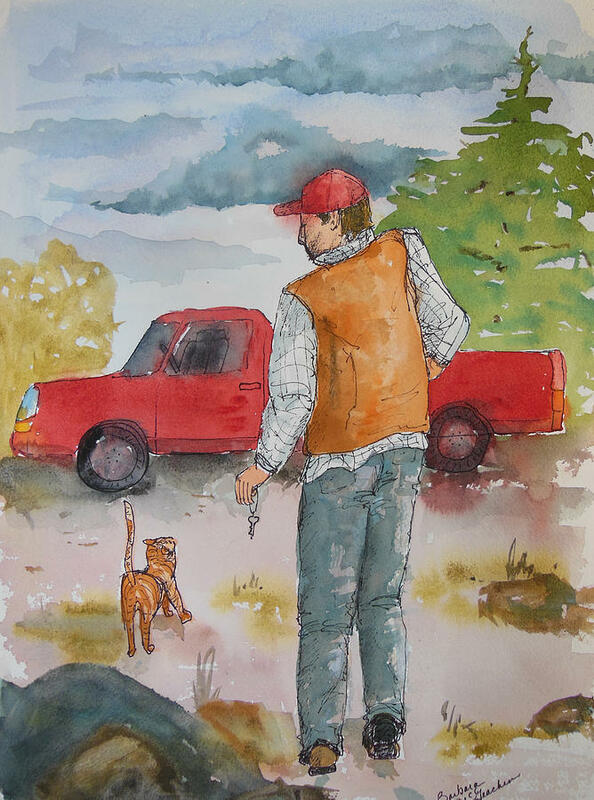 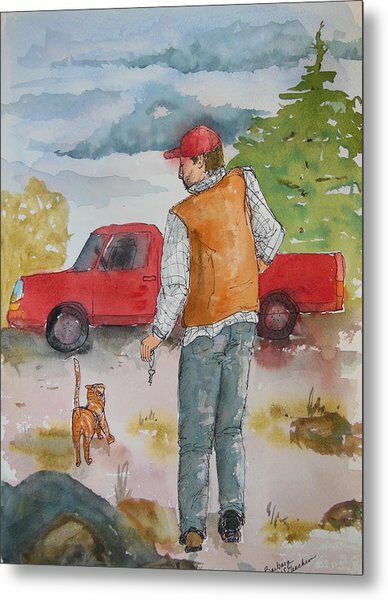 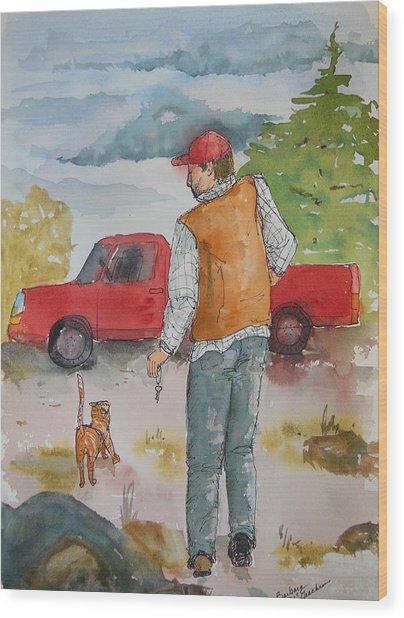 Man going out with cat along side. 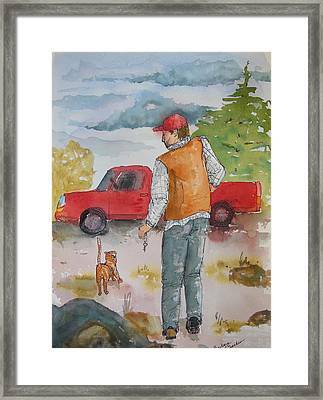 He's reaching in his pocket for a treat for the cat, maybe.